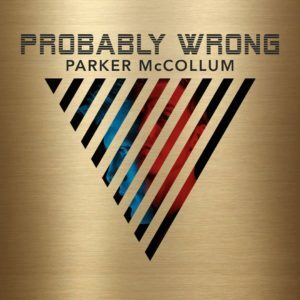 If you live in the state of Texas, you’re probably already aware of Parker McCollum. His first album, The Limestone Kid, was a cult success and helped to propel him into the spotlight in the Texan music scene. At only 25 years old he’s had enough experiences in life to try and emulate his idols, the likes of Townes Van Zandt and Steve Earle, in creating honest music. 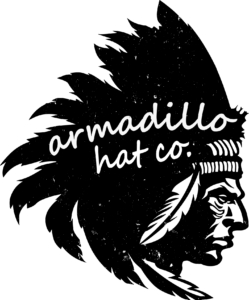 His latest record, Probably Wrong, was released in November 2017 so, yeah, we’re a little late to the party with this review. Following a heart-breaking breakup with his ex-girlfriend, once we’d listened to this record once we just knew it needed reviewing. McCollum has a wonderful ability to create songs and write lyrics with great emotional depth and huge amounts of heart and soul. Going through a painful breakup has clearly hurt and inspired McCollum in equal measure. Songs like I Can’t Breathe, where McCollum’s almost Noel Gallagher sounding vocals tear you up whilst he sings “I can’t breathe, baby I’m dyin’, why are you cryin’?”. On a comparatively more upbeat song such as The Truth, McCollum leaves his broken heart out there for all to see but delivers some swagger and venom. Over a Texas blues shuffle he sings “I don’t feel too bad for how it all went down, you stole my dog and I broke your heart” before delivering a knockout punch with “had no plans of being that man you were begging me to be”. The ups and downs on the album almost represent that post-heartbreak journey that we all go on. One minute we’re feeling strong as hell and the next we fall apart. The album opener, Memphis Rain, is all about rolling with the punches in life, “never pray for change, that old Memphis rain”. It rolls straight into the wistful and thoughtful South of the City Lights. One of the highlights of the album is the upbeat road song Lonesome Ten Miles. With it’s plodding beat and dancing organ, McCollum sings about enjoying life and putting your worries to one side, “when I miss you darlin’ , I never let you know”. It’s a song that is sure to be a hit at McCollum’s live shows. At a young age he seems to have come to terms with the life of a touring musician, “leavin’s what I do”. There are a variety of styles on offer on this record, Blue Eyed Sally is all-out bluegrass whereas the likes of The Truth bring McCollum’s Texas roots to the fore in a bluesy way and Learn To Fly is undeniably classic country. There’s no doubt that he has a great skill for songwriting and a brilliant band behind him. One of the jewels in the crown of this album is the closer, Hell of a Year. It’s a song that McCollum wrote in his broke-down truck outside a burger joint, thinking back over a difficult period in his life. This simple acoustic song chugs along in a thoughtful and dreamy way, with all of the emphasis on the lyrics. It’s a moment that we’ve all had in life, where we think over the decisions we’ve made and whether they were right. The lyrics perfectly sum up this album as McCollum sings “I could have been right, was probably wrong, spent so many nights wishin’ I could go home, it’s been a hell of a year”. There’s no doubt that this is an album that comes from a particular place. I absolutely love a record that feels like a chapter from the artist’s life and this does exactly that. McCollum recently spoke about how he was sitting down to write some more music but felt himself slipping into the headspace of Probably Wrong, something that he refused to go through again. This shows the power of emotion behind this collection of songs. Hell of a Year has already started getting a lot of attention outside of Texas and quite rightly so. It’s a sad truth that it would doubtlessly be a Billboard number one if recorded by a trendy Nashville artist. You can buy Probably Wrong here!